Santa comes tonight. I don't know how he knows who is sleeping at our house on Christmas Eve, but he always figures it out. 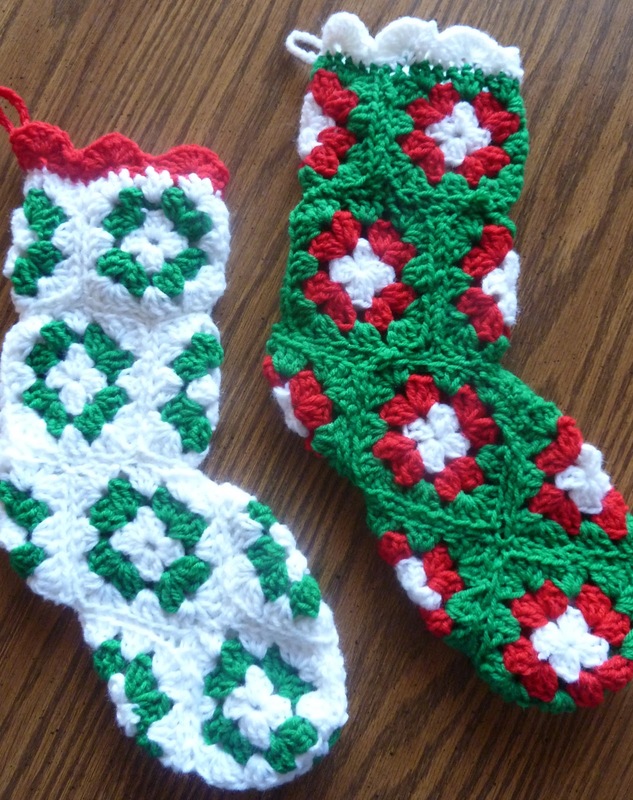 Since I crocheted new stockings for daughter's boyfriend and the kitty, I'm just sure he'll show up for them, too.